Today the Konni Burton campaign announced the endorsement of Tarrant County Judge Glen Whitley. 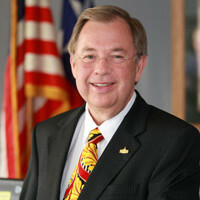 Judge Whitley is a long time Tarrant County public servant, serving as a Tarrant County Commissioner and in his current role as Judge. Whitley has been crucial in providing improved transportation infrastructure without raising taxes on Tarrant Co. residents. Whitley’s endorsement is one of many the Burton campaign earned in the GOP runoff, with eyes towards defeating the Democrats in November. Tarrant County leaders are consistently unifying behind Burton, commenting on the success of her door-to-door, grassroots campaign style. Join Glen Whitley today by endorsing Konni Burton!